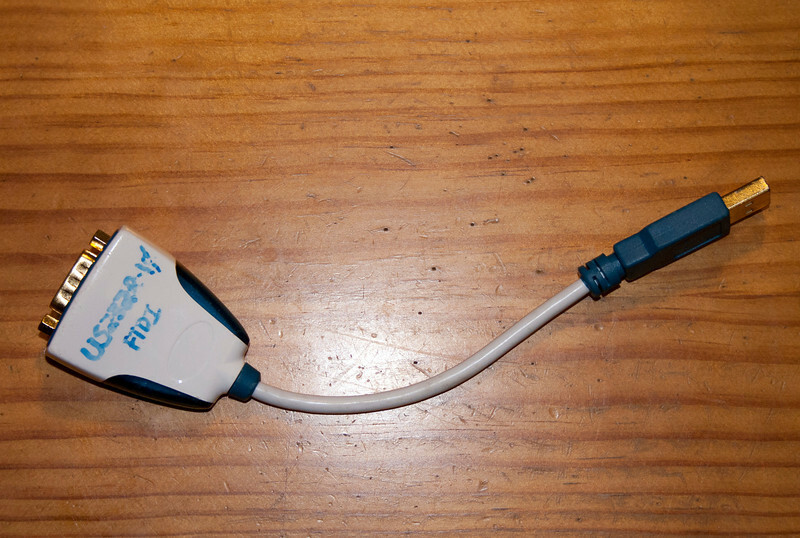 Connected to EQ6 Synscan hand controller via supplied serial cable. Synscan hand controller used in 'PC Remote' pass-thru mode in order for the netbook to talk to it via planetarium software such as Stellarium, Cartes Du Ciel and Starry Night. The FTDI drivers use specfic USB ID so virtual serial port is always recognised no matter what USB hub port it is installed to.